Funko Toys BLOX Disney Monsters, Inc. Inspired by designer toys and stylized character collectibles, Funko presents BLOX Disney Figures. These wacky-adorable vinyl figures feature your favorite characters from the Wonderful World of Disney! 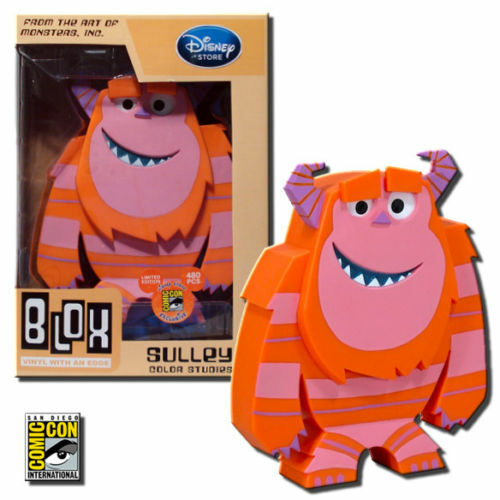 This special 2012 San Diego Comic Con Exclusive limited edition features variant orange and pink stripes. Toy Story Buzz Lightyear figure stands approximately 7 inches tall and comes in a 4-color window display box.